Founded by Harold Lucas, they began singing together in high school and signed with Atlantic Records in 1950, beginning the unbelievable string of fifteen number one hits on the Rhythm and Blues charts, influencing every vocal group that followed throughout the ensuing decades. Over the years, various members voluntarily left the act, but Harold Lucas kept touring and recording with carefully-chosen replacements. 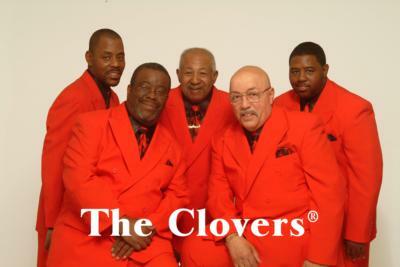 By the 1980's, The Clovers were undergoing a renaissance, achieving radio airplay with newly recorded material (on the Ripete Records label), including a number one, double-sided hit ("Don't Play That Song" b/w "Drive It Home") on Beach Music stations in the Southeast, from Virginia Beach to Jacksonville! Harold's Clovers have been featured in regional radio and television commercials and national TV syndication. Public performances have included returns to NYC's famed Apollo Theater, Beacon Theater, and Radio City Music Hall; Los Angeles' Universal Amphitheater, Philadelphia's Valley Forge Music Fair, Long Island's Westbury Music Fair, the Savannah Civic Center, Disney World, and many other theaters, performing arts centers, fairs, festivals, and conventions across the USA and in Europe. 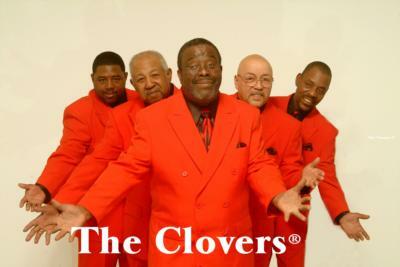 The Clovers' casino dates have ranged from Atlantic City to Las Vegas to Monte Carlo, earning them standing ovations and industry accolades along the way. None other than Richard Nader wrote of the group: "Thank you for The Clovers---They stole & stopped the show---I loved them"
Harold Lucas thought so much of his now-evolved hit act that he blessed them all by granting each member a full legal partnership in the Clovers name and various endeavors. Well deserved, since without this second blossoming The Clovers could well have faded into musical obscurity. 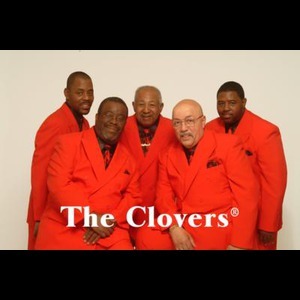 ...and although Harold has since passed away, the act today still includes long-time partners (of Harold's choosing) Johnny Mason (a Clover since 1969) and Steve Charles (invited by Harold in 1980), both of whose lead vocals and antics contributed heavily to The Clovers' renaissance. The Clovers have performed continually thru the years and have built a reputation as one of the most entertaining groups still around, combining excellent showmanship, a healthy dose of humor, and an authentic, exciting vocal blend. Please note The Clovers will also travel to Mount Rainier, Brentwood, Hyattsville, Bladensburg, Arlington, Capital Heights, Capitol Heights, Takoma Park, Adelphi Chillum, Cheverly, College Park, New Carrollton, Riverdale, Suitland, Alexandria, Bethesda, Chevy Chase, District Heights, Oxon Hill, Silver Spring, Temple Hills, Falls Church, Greenbelt, Lanham, Beltsville, Glen Echo, Kensington, Mc Lean, Southern Md Facility, Upper Marlboro.